Honda today revealed its full 2016 motorcycle line up at the EICMA show in Milan, comprising six mid-sized capacity machines with a range of significant updates, and the return of one of motorcycling’s most illustrious names in the form of the CRF1000L Africa Twin. With an eye to the future, Honda has also revealed its new City Adventure concept machine, offering a unique new interpretation of the idea of adventure on two wheels. 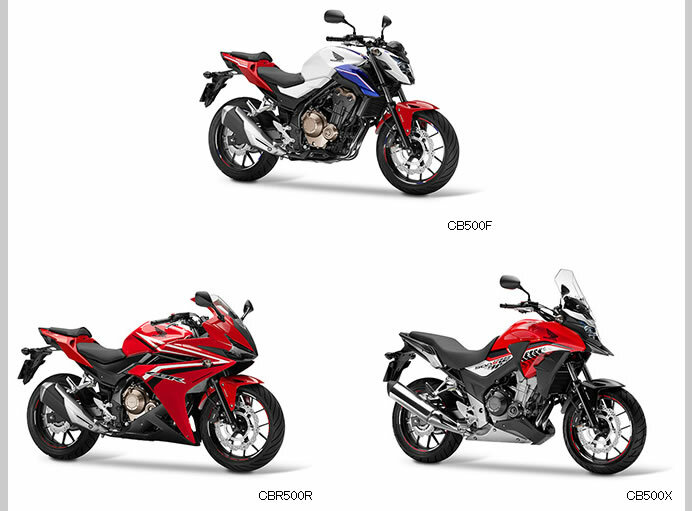 All three of Honda’s A2-licence 500cc models – the naked CB500F, sporty CBR500R and crossover-styled CB500X – have their punchy performance complemented by several rider-focussed revisions to further enhance desirability and ownership experience. Upgrades include LED head and taillights, adjustable pre-load on the front suspension, adjustable brake levers, larger fuel tanks with new hinged fuel cap and “wave” style ignition keys. 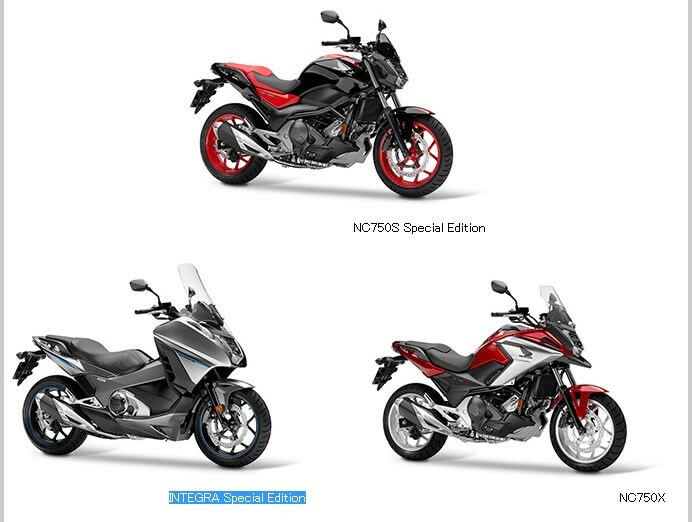 Honda’s popular 750cc New Concept trio are also upgraded for 2016. All three – NC750S, NC750X and Integra – are now EURO4 compliant and receive new DCT functionality including 3 levels of S Mode; the revised instrument panels are customizable with a choice of 9 colours, and in ECO mode change colour according to fuel consumption; new mufflers lend a deeper tone to the parallel twin’s distinctive pulse; the front forks on both NC750X and Integra benefit from Showa’s Dual-Bending Valves for improved damping and more linear suspension performance. One year after showing its True Adventure at EICMA in November 2014, Honda today also reveals for the first time in Europe the all-new CRF1000L Africa Twin. Complementing Honda’s returning icon, the City Adventure concept offers a totally new interpretation of the idea of motorcycling adventure. It brings that spirit of adventure to the heart of the city and underlines Honda’s commitment to researching new ways of creating unique technology to enhances and enrich its customers’ lifestyles.